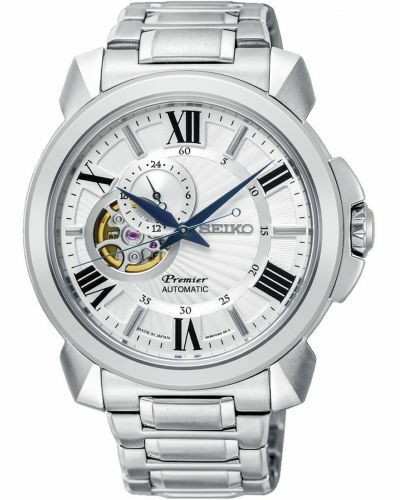 This striking men's watch is brought to you by world renowned Japanese watchmakers Seiko in partnership with Novak Djokavic as part of their Premier collection. Featuring a stunning 43mm rounded black ION plated stainless steel case and bezel in which houses an alluring striped black dial complete with perpetual calandar and sub-dials. 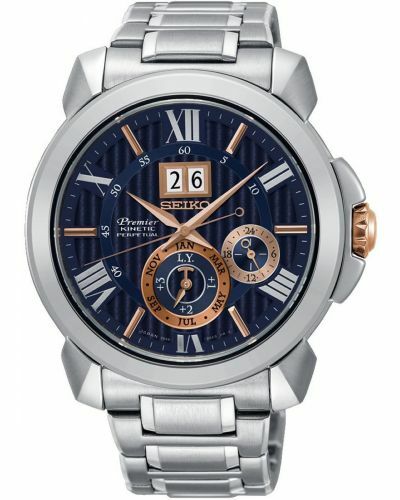 Gold batons and second hand compliment this suave dial. 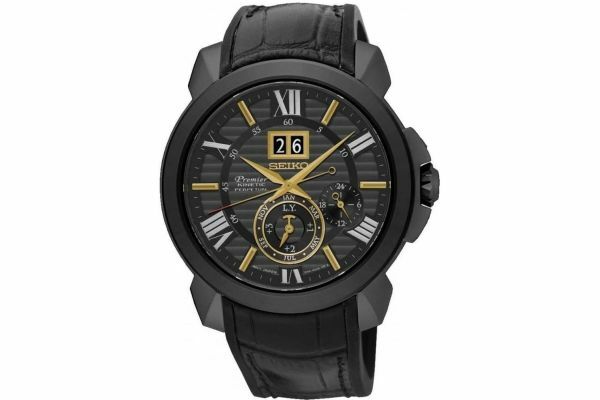 Set upon an enthralling genuine black leather rubber backed strap and fastened with a secure black ion plated stainless steel buckle; this watch is both practical and eye catching. Powered by kinetic movement and protected by anti-glare scratch resistant Sapphire glass, this sophisticated watch is water resistant up to 100 meters and comes complete with a two year guarantee. 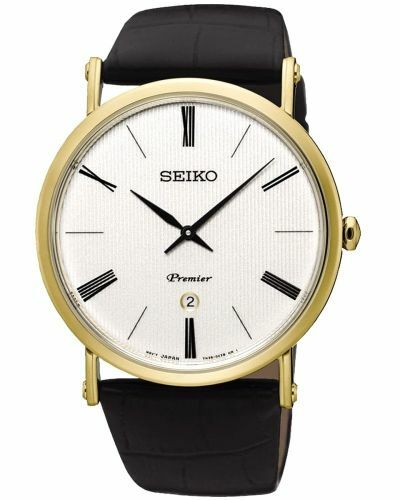 For us to size your new Seiko Premier watch as accurately as possible, please take a look at our downloadable Watch Sizing Guide.